Feeling like one really IS the loneliest number? 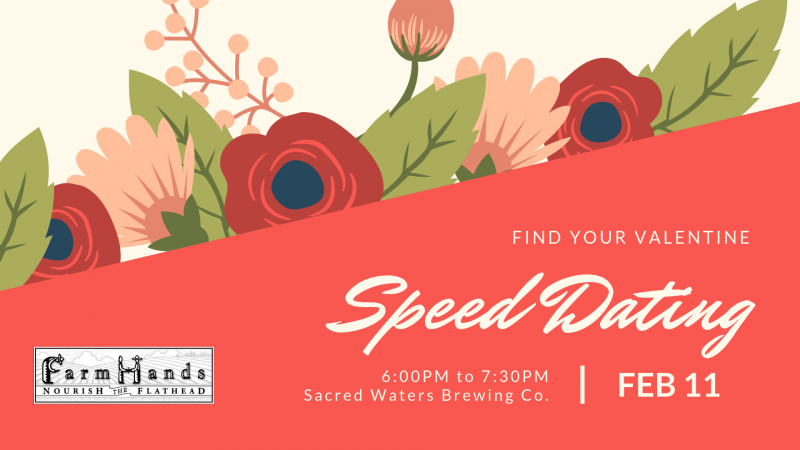 Come on out to Sacred Waters Brewing Co. and take a spin at speed dating! Proceeds will contribute to our Double Snap Dollars machine that helps connect the Flathead Valley to locally grown food. Venue: Sacred Waters Brewing Co.